This soft dog comfort blanket will comfort baby when it's bedtime. A white and innocent lovey to ensure sweet dreams. 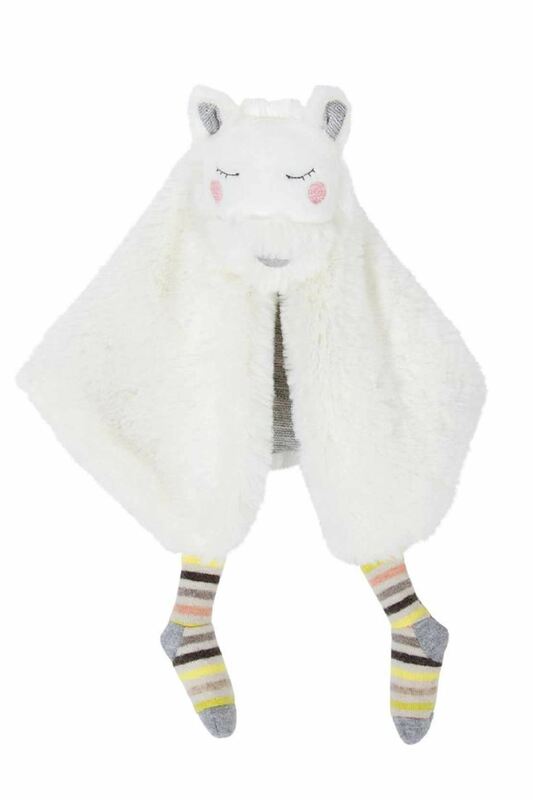 This soft dog comfort blanket with stripy dangly legs will comfort baby when it's bedtime. A white and innocent lovey to ensure sweet dreams. This comforter can be personalised with your little one's name. A unique birth gift!